By E.J. Schultz . Published on June 17, 2013. Kenny Chesney is playing on the jukebox and the beer is flowing. "Are you guys from around here?" the bartender asks. "Close by," says Kent Rademaker, sidling up to the small-town bar with Tyler Witkin and Jenny Hall. The three are casually chatting like friends out for a cold brew on this hot afternoon in late May. But they don't live anywhere close by, and they are not here to socialize. They are undercover, on assignment for a big-city ad agency that is many miles away. Mr. Rademaker, Ms. Witkin and Ms. Hall work for Chicago-based Cavalry, which has made this town its own little test market, a place agency staffers visit time and again to secretly observe how consumers shop, dine and drink. Karl Turnbull, Cavalry's chief strategy officer, led the charge in picking the town, which was chosen from among a dozen cities. The WPP agency, which was formed a year ago to handle Coors brands and new products for MillerCoors, calls it the "Outpost." 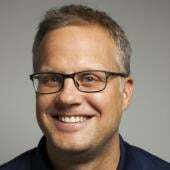 An internal document describes it as a "secret weapon" that is a "slice of middle America we've adopted as our own to test drive new ideas and unlock authentic consumer insights." The project is so secret that only a handful of MillerCoors execs know about it, and none of them know the town's identity, Cavalry CEO Marty Stock said. Ad Age last month tagged along on a visit under the condition that we don't reveal the town's identity. Here is what we can say: It is located within a day's drive of Chicago, has a population of less than 50,000 and has demographics that are similar to the national average in terms of ethnicity and household size, which Cavalry says provides "the perfect venue to study the attitudes and behavior of American consumers." The identity is closely guarded because if word spreads, people in the town might find out, and that could transform the agency's real-life laboratory into just another sterile focus group. "If I tell you that I make beer commercials and then I start asking you things, that is going to taint how you respond," Mr. Stock said. While other ad agencies use similar tactics, Cavalry is "trying to do it better," Mr. Stock said, by making it systematic. The agency takes trips about once a month. At the Chicago office, staffers are asked to drop cards in an Outpost suggestion box with theories they want to test or things to observe. Of course, in the age of big data, a lot of this could be achieved with focus-group-informed spreadsheets and other intelligence, and Cavalry uses all that. But "people in the flesh are more inspiring," says Ms. Witkin, a senior strategic planner, as we rumble down the highway with Chicago in the rearview mirror. The other reality is that most ad agencies, like Cavalry, are in big cities, where people don't always behave and shop like average consumers. For instance, Ms. Hall, who is Cavalry's VP-strategic planning director, noted that gas stations seem less prevalent in big urban downtowns compared with smaller towns, where they are often a hub of consumer activity. So while in the Outpost, we stop at a Speedway, where we linger for about 15 minutes as the three agency execs, dressed in jeans, scan the booze aisle and keep an eye out for customers. Ms. Hall and Ms. Witkin -- who oversee new brands such as Redd's Apple Ale -- are drawn to a pack of Smirnoff Blueberry & Lemonade bottles chilling in a walk-in cooler. They snap a photo. It is "evidence of the sophistication in the flavored-malt-beverage space," one of them says. Indeed, one of the major trends in booze is the seemingly endless number of choices consumers encounter, even in small towns like the Outpost. At a bar we stopped at earlier in the day, a mixture of rock and country plays on the jukebox and the three-page beer menu includes everything from Miller Lite to Lagunitas Wilco Tango Foxtrot ale, better known as WTF. The bartender asks us what we want. Ms. Hall says she is looking for something sweet and one of the recommendations is a tangerine-flavored wheat ale that comes from a brewery in California. Ms. Hall would later tell me that she was curious what her request would produce because millennial drinkers are into sweet drinks. 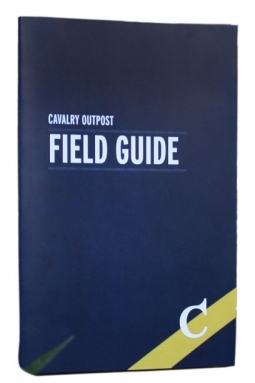 The rules for blending in are spelled out in Cavalry's "Outpost Field Guide," a half-serious manual that includes a pledge that agency staffers take "Outpost-location knowledge to the grave." There is a dress code—"we aim to blend in" -- as well as travel advice: "You can find your way to the Outpost however you please. But we ask that you refrain from driving your Lamborghini." We are in a rented gray Mazda 3 that blends in nicely in the parking lot of our next stop: Walmart. Inside, we mill around the booze aisle, where mainstream brands dominate. Ms. Hall and Ms. Witkin chat with a woman who's shopping with two young children. They quiz her about the freezable pouches of wine she has in her cart. "We bring them to the pool. Put a straw in them, they are fantastic," the woman says, adding that it "brings drinking to a new level." 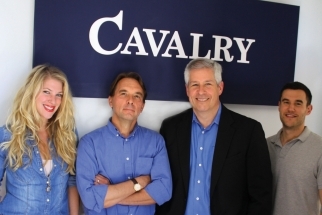 While it is doubtful that a singular interaction like this one will make it into an agency report (MillerCoors does not sell pouches or wine), Cavalry execs say it's important to constantly scan the competitive landscape. "We don't go in to [MillerCoors] and say, "Here is just what we saw in this town,' -- it's always added into other things," such as focus-group data, Mr. Stock said. Sometimes they use observations from the Outpost to challenge data. For instance, Cavalry recently saw research on the percentage of shoppers who enter stores knowing which brands they want. The number sounded high, Mr. Stock said. So they headed to the Outpost and spent a day studying how long people lingered in the booze aisle. "The majority of people we saw were not coming in and heading right for a brand and leaving," he said. "They were shopping, they were perusing." For Cavalry, he said, that hammered home the need to have a tie-breaker that tips the decision from one brand to another, like fancy packaging. We end the trip at happy hour, stopping at a Chili's that fronts a chain-filled divided highway that could be Anywhere, USA. But a thunderstorm is moving in and the bar is nearly empty. To make matters worse, we are carded. "From Chicago?" the waitress innocently asks as she scans our drivers' licenses. So much for blending in. But it doesn't matter. The most interesting thing here is not the conversation or beer choices, but the machines resting on the bar and at booths. They are "Ziosks," portable devices with digital touch screens that show drink specials and feature games and apps. For the agency execs, this raises some possibilities. Branded content could be weaved into the electronic menu, maybe? "That might be the thing of the day," Mr. Rademaker says. A few minutes later we hop in the car and head back to Chicago. The Outpost secret has been kept safe. And they will be back soon.